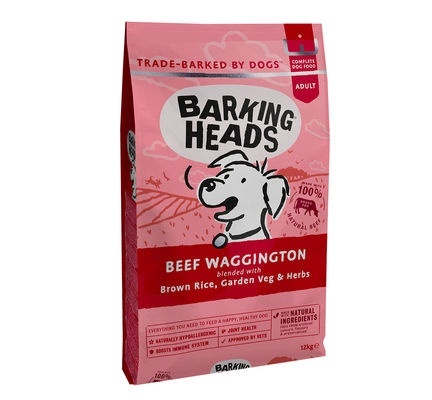 Barking Heads Beef Waggington is made with 100% natural grass-fed beef. This delicious adult dog recipe is made using only the best quality, natural ingredients. Approved by vets, Beef Waggington is naturally hypoallergenic and contains added joint support too. Blended with a combination of garden veg and herbs, this meaty meal will set tails wagging! Made with 100% natural grass-fed beef. Natural Ingredients - free from artificial colours, flavours & preservatives.